Blenheim Palace – where its impressive architecture and incredible scenery have provided a stunning setting for classic period dramas and a host modern feature films. 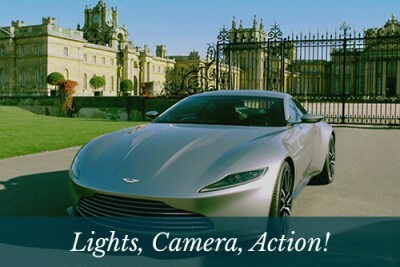 The most recent productions filmed here include SPECTRE (007), Mission: Impossible – Rogue Nation and Cinderella. Some film crews place the Palace centre stage, but others come to film small aspects you might not recognise at first glance, such as part of a staircase, a tree in our Parkland, or for a glimpse of the maze. With large-scale productions the Palace has to cope with an invasion of an enormous amount of equipment, people and at times animals. The Palace has been set on fire and has been the scene of mass dancing, feasting, intrigue and murder. It is a wonder we are all still here!